My guest for this show is Katie Walker, author, actress, mom of 4 and wife of a former Major League Baseball Player. Her recently published book, Woman of Influence is a guide to learning to walk in the influence that God designed you as a woman to understand and walk in. 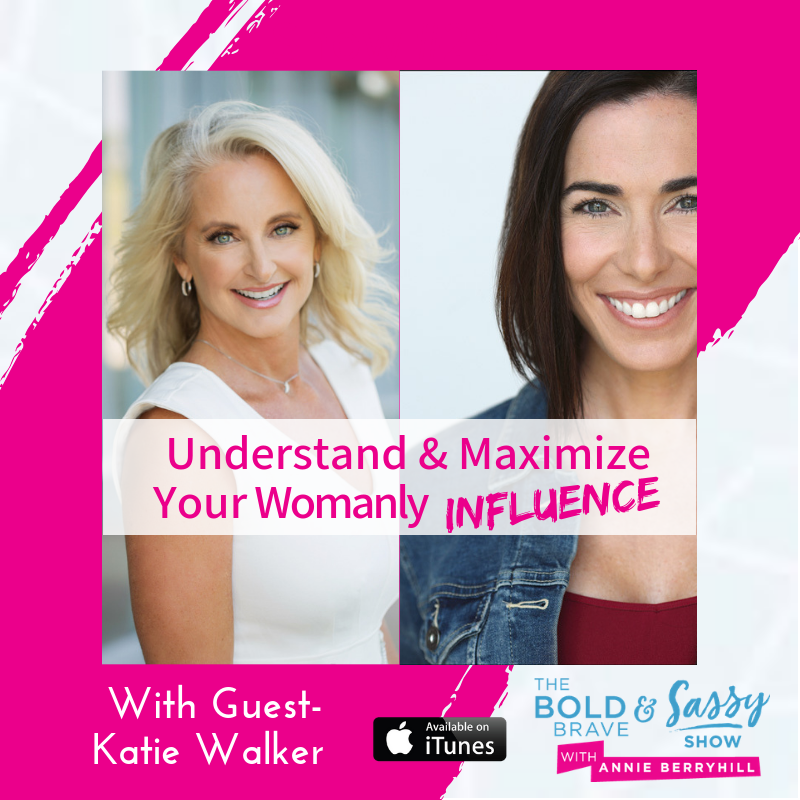 Watch out when two energetic, passionate women of influence get together to talk about life, mistakes, living your identity in God and how she defines “influence” from a biblical perspective, especially as it pertains to women in the world. Katie’s perspective on God’s love for his kids will encourage you to remember to stay connected to his Word as the source of your identity and worth and why it’s important to make that the source and now what the world says. While neither one of us professes to be perfect (far from it in fact), I am sure that you will be invigorated and inspired as you are reminded about what God says and thinks of you (Hint: You are his FAVORITE!) and why the keys to living a brilliant, fulfilling and joyful life are rooted in that focus. This fast-moving, laughter-filled and deep-diving episode is sure to give you a jolt of fun and joy, with tons of insightful stories, lessons and actionable tips for deepening your relationship with God and embracing what your true worth and identity is and where the loving source of it.